The free ‘unconference’ for everyone interested in digital, design, technology and data for health and care. What is UK Health Camp? There are lots of brilliant things happening to make health and care services better for patients, carers, and professionals. Our aim is to provide a space to connect, share ideas and make things happen. This isn’t the first Health Camp - similar events have been held in other countries and in the UK in 2015 and 2017. We are open to all, whether you work for health and care services or not. Our events are multidisciplinary - we aim to bring together health and care professionals, policy makers and service managers together with designers, digital specialists and technologists. Everyone is welcome. 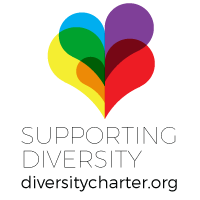 We believe that diversity at conferences and events is important and support the Diversity Charter. We have a Code of Conduct and ask for cooperation from all participants to help ensure a safe environment for everybody at UK Health Camp. If you’ve never been to an unconference, Don’t Panic. Instead of a schedule arranged ahead of time featuring presentations and panels brought to you by the great and the good, everyone in the room gets to help design the agenda for the day as the first order of business. We invite all attendees to propose ideas and topics that they would like to discuss, then with a brief flurry of concentration, post-its and pragmatism we arrange these into a session grid (schedule). Sessions should bias strongly towards being discursive rather than a talk from a single person. Think seminar rather than lecture, more socratic than didactic. This way, we turn the conversations that happen in the hallway, in between sessions at most conferences into the main event. You’ll grow your network with passionate and clueful people, and get to jump in and join the party. Like our sister BarCamp-style events UKGovcamp and LocalGovCamp. Come and join us. Don’t panic! How do we improve patient education? From 17:00 onwards sponsored drinks will be available nearby for anyone who’d like to continue the conversation! UK Health Camp is run entirely by volunteers. The 2019 event is being organised by @thatdavidmiller, @puntofisso, @DeckOfPandas, @mattstibbs, @cholten99, @Rozalie_Horka, and @blu3id. Attend UK Health Camp and participate (sign up at the top of this page). If you can help us, please email sponsors@ukhealthcamp.com.